I don’t drink the black stuff myself, I do like some of the adverts. I’ll be offline for a few days until I straighten out the Studio after the move & I thought I did a cull before. 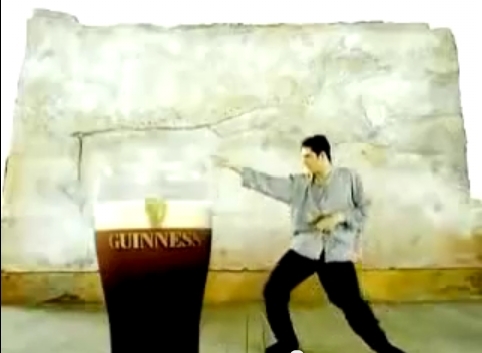 Here are three Guinness Adverts I enjoy. In its day the first inspired an adult party game. Yes indeed! the likes of Brendan Grace would encourage slightly inebriated adults [like.. insert> uncle…, Mr ... <here] to do the dance for a spot prize at Weddings, Christmas Parties etc. The Second & third Video is are short simple stop motion film featuring hands. Apparently these are only a few of the things people get up to while waiting for Guinness to pour and settle.